In a recently released court video, Capt. Matt Hilbrecht of the Marshall County, Kentucky, Sheriff’s office testifies about his interrogation of Gabriel Parker, the15-year-old accused of a mass shooting at Marshall County High School in January. Marshall County Sheriff’s Detective Capt. Matt Hilbrecht in a court video. Photo courtesy of court video stills. Accused school shooter Gabriel Parker (left) with defense attorneys. photo courtesy of court video stills. Westerfield boasts an “A” rating from the National Rifle Association, as do most Kentucky state legislators. An analysis of the NRA’s recent lawmaker ratingsconducted by The Trace, a journalism nonprofit covering gun violence, shows Kentucky has the nation’s highest percentage of legislators who got at least an A-minus grade from the NRA, 88 percent. In the wake of the January bloodshed in Marshall County and February’s carnage in Parkland, Florida, March has become a month of activism for many students. 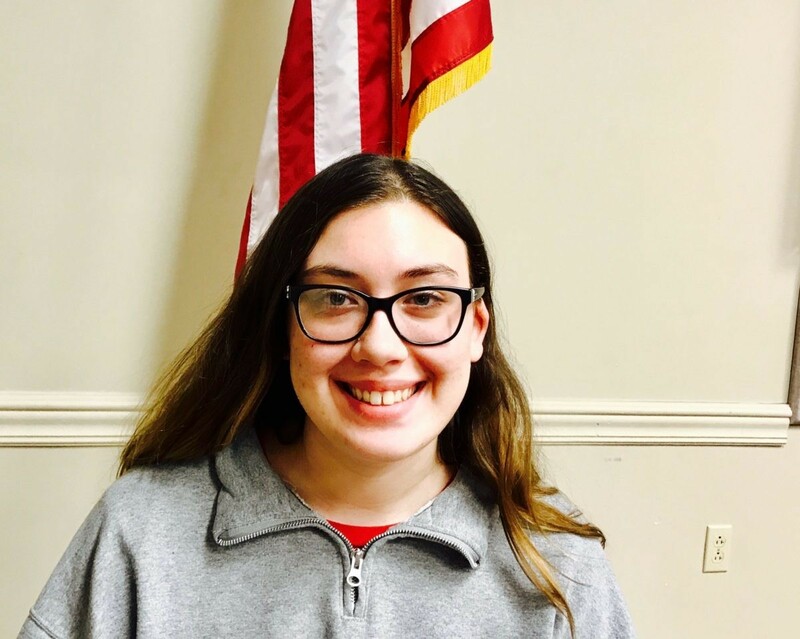 Student activists such as 17-year-old Madison Betts of Calloway County High School, located just a 30-minute drive from Marshall County High, are responding to the violence by organizing, lobbying and demonstrating for safer schools. But Betts said she feels that legislators are not listening. Kentucky student Madison Betts of Calloway County High School is participating in a walkout for school safety. Photo by Nicole Erwin, Ohio Valley Resource. In a rare winter outing during the first week of December, Dawn Baldwin got into her green Chevy Silverado pickup with a Hillary Clinton bumper sticker and drove the miles on dirt and paved roads from her organic farm into town — Marlinton, the seat of Pocahontas County, West Virginia. In addition to growing fruits and vegetables using organic and biodynamic methods on her land, Baldwin also makes packaged herbs and goat-milk soap, and was taking them to the annual local artisan holiday fair to sell. People kept coming up to Baldwin’s booth all evening, but as it turned out, it wasn’t for her soaps. They wanted to talk to her. They wanted to lean in close and whisper to her how depressed they had been since Donald Trump’s election. She was surprised, but not totally shocked. Throughout the election season Baldwin, 50, who is from Memphis but fell in love with the land and environmentally conscious ethos of Pocahontas County then stayed to start an organization that collects produce from local organic and pesticide-free farms and distributes it to the community, had been posting articles from The New York Times and The Atlantic about the danger Trump would pose for rural communities. Some of her neighbors, mostly women in their sixties and seventies whose families had been in the county for generations and whom she didn’t know more than to say hello to at the post office started following and liking her posts. These were the same women who had told her she was “brave” for putting the Clinton sticker on her truck. Now they, plus many of their husbands, men like Baldwin’s business partner Steve Saffel, who are farmers and dyed-in-the-wool-democrats, were out from behind their computers saying the words aloud. It struck Baldwin then that there might be a lot more anti-Trump sentiment in her community than meets the eye. Pocahontas County sits along the state’s southeastern border with Virginia. It’s one of the most rural counties in the United States with the highest concentration of public lands east of the Mississippi, a place where students ride the school bus an hour and a half each way to the single high school. Eight major rivers have their headwaters in the county, and more than a million visitors come each year to camp and hike and fish and ski — making tourism, not coal, the biggest employer. According to the dominant media narrative, Pocahontas County should be monolithically conservative and eager for Trump to deliver the promised economic boom times. But while Trump carried the county by a solid margin, more than 25 percent of residents here voted for Clinton and many more didn’t vote. Their reasons for resisting are various: environmental, humanitarian, feminist, and yes, economic. The minority, Pocahontas County reminds us, may be fewer in number than the majority, but they still exist — and they matter. The tradition of responsible environmental stewardship that exists throughout much of Appalachia is strong here — many residents hunt for food, forage for edible plants, dig ramps, and can tomatoes in summer to eat in winter; though some residents band together to take turns driving truckloads of glass and aluminum hours away to the closet processing plant. In the mid-1970s, a small hamlet along Lobelia Road in Pocahontas County became home to more than 200 “Back to the Landers,” people who left cities in fear of where the ethos of consumption, power and money was taking America, and who wanted to live a simpler, more self-reliant way of life. They baked bread and farmed and shared childcare; a commune sprung up. Local people would walk over the hill and socialize and share the region’s rich tradition of Bluegrass music excellence. Many of the newcomers had left by the ’80s but many stayed, building houses and raising children here. Even though the newcomers and the original community didn’t always agree on issues related to religion or politics, they were always good neighbors to each other. The way the transplants were living was not far from the old ways of scrapping and making things from scratch that many locals, living far out in the hills, had been taught as children. This created a kind of mutual respect. The result is a hybrid neighborhood, where children of Pocahontas County farmers for generations ride the school bus with children of people from Chicago and Philadelphia and closely held values defy easy political categories. Erica Marks, a Lobelia resident for more than 10 years who works in the Pocahontas County school system as a gifted/talented teacher embodies this. She is the granddaughter of a West Virginia farmer on one side and a Virginia congressman on the other. She had been living in Roanoke, Virginia, harboring dreams about starting an experimental school with a focus on environmental education when she heard about Pocahontas County from a friend who’d grown up here. “She just said, ‘you need to come and see what’s happening in these hills,’” Marks said. Marks’ chance came last January when a big piece of property in the Lobelia neighborhood came up for sale. The community, fearing a new owner might log or destroy the pristine wilderness land, held a series of potlucks and meetings to raise the money to lease it. The result is The Yew Mountain Center, an environmental science educational center. The paid courses for tourists in skills like birding and foraging — taught by Pocahontas County residents — will help subsidize free classes and keynote addresses on conservation, environmental stewardship and the arts for the local community. The project, though begun before he took office, is, Marks says, now a way in which she and her neighbors can respond to and resist Donald Trump. The day after Trump was elected, Marks went for a hike on the Yew Mountain property. She also sees the Yew Center as a form of resistance because it might build bonds across groups that Trump has attempted to divide and pit against one another; namely working-class, rural people and environmentalists. She sees the center as a two-way street that helps to cross-pollinate the rich well of ecological knowledge in Pocahontas County with new skills and ideas happening across Appalachia and the United States. In a concrete example, Marks praised her daughter’s second grade teacher. “She’s just absolute magic,” Marks said. Then Marks found out that her daughter’s teacher had voted for Trump. “How can this be?” Marks said she remembered feeling. “Here’s somebody that I really respect, who is so kind, so good at her job.” But Marks said this helped her re-commit to not living or raising her children to live in the bubble of a single worldview. Pocahontas County seems to be a place where, perhaps out of sheer necessity or perhaps out of a certain magic, people with seemingly opposing views can come together for a common goal. Many remember a highly successful initiative launched in recent years to combat the county’s raging opioid addiction problem in which Wendy Richter, a longtime resident and the pastor at the Lutheran church, joined forces with Susan Burt, a frank and exuberant transplant from California. They gathered together past and present opioid addicts, sharing a mindset that the best way to offer support was simply to listen to addicts talk about their needs and experiences. Some people, like Blair Campbell, hold opposing views about Trump just within themselves. Campbell grew up on a sprawling farm in the county’s northern tip that has been in her family for generations. But several years ago, surveyors from the power company Dominion Resources showed up, offering Campbell’s family a fat check in exchange for the use of a section of their land. 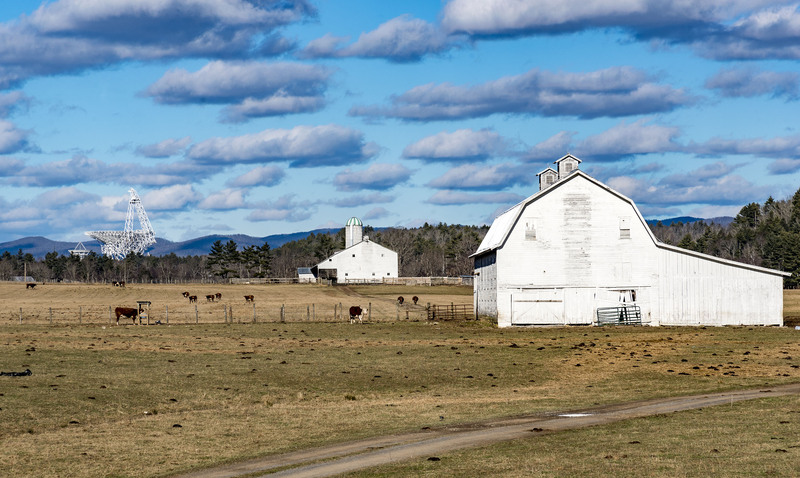 As it turns out, their farm sits smack dab in the middle of the proposed route for the Atlantic Coast Pipeline, which after cutting across much of West Virginia, would carry on through Virginia and into North Carolina. The 42-inch pipeline would run underneath the Greenbrier River, which serves as the headwaters of nearly every waterway in the county. Campbell is afraid that the ACP will become the next Dakota Access Pipeline and that Trump will only accelerate the project at the expense of local health. But the ways that Trump’s policies hit close to home for Campbell don’t end there. Her husband Charlan, born and raised in Jamaica, works Sunday through Thursday in Northern Virginia, repairing the bases of electrical towers for a subsidiary of Dominion. And if this weren’t enough, Campbell’s mother-in-law has been waiting on a visa that would allow her to leave Jamaica and join them in West Virginia for over three years. It was finally approved last month. But Trump’s recent executive order on immigration has left her mother-in-law’s status in limbo. “There is more nuance and more diversity of opinion and perspective in the state and in this county than we’re given credit for,” said Nathaniel Sizemore, another native with a complicated story of divided allegiances. Sizemore was born to middle-class parents who listened to Neil Young and taught him to value education, practice tolerance and fight against racism. He met his wife, Hanna, at Pocahontas County High School. After graduating in 1997, he attended Westminster College in Pennsylvania while she opted for prestigious Smith College in Massachusetts. Soon they found themselves in Colorado and then California, as Hanna got her Ph.D. in Astrophysics and Planetary Science and then a post-doctoral fellowship. But when they got pregnant with twins, they moved back home to be closer to family. Sizemore said he’s been surprised by how many other educated, worldly people he knew from high school have opted to return home to the county after leaving to expand their horizons. “There’s a little bit of natural animus and distrust of outsiders. There is some intolerance and, frankly, some racism. But you can’t paint with a broad brush if you want to see things clearly,” he cautions. Sizemore and his wife both lucked into jobs they can do remotely — he works doing IT support for the state and she works for an online company that supports science researchers. Though Pocahontas County, like much of West Virginia, has had to fight hard to get access to high-speed internet, a recent successful lawsuit against Frontier Communications has brought big improvements. Now, Sizemore’s son can be home sick from school watching cartoons on YouTube while Sizemore does his job. This time last year, Sizemore said, not even one of those tasks, let alone both at the same time, would have been possible. Trump’s call to “Make America Great Again” suggests a kind of return, but families like the Sizemores don’t want to return anywhere. They do want change, but they want to move forward, not back, into a future in which all people are welcome, and no one has to leave West Virginia to get access to high-quality health care, education or jobs. But Sizemore acknowledges that this view is a product of his education, life experiences and flexible schedule — things not all people in Pocahontas County have access to. 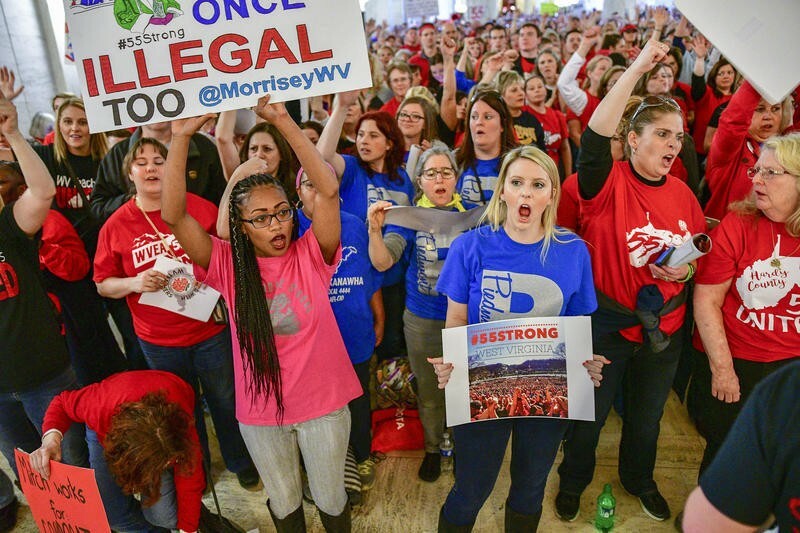 But it does sometimes frustrate Sizemore to watch people in his community voting for candidates and political promises he believes are against their own interests and against West Virginia’s long history of powerful labor activism. Some Trump supporters in Pocahontas County may know this already. The day of the election, Sizemore was on the way home from work when he pulled into the local convenience store for some snacks. While waiting in line to pay, he overheard a conversation between the man in front of him and the cashier. The man was buying some beer to take home. After the new year, Dawn Baldwin started posting on Facebook about her plans to go to the Women’s March. As the date approached, women from the county again started showing up in her feed saying that they were going too. Baldwin estimates that about 25 women from Pocahontas County went to the March and four times as many were supportive online. “They told us they would be with us in spirit. The emotion was palpable,” she said. On January 24, Baldwin put out a call on her Facebook page for people who were interested in keeping the march’s momentum going. Two days later, there was so much interest from people who had marched and supporters that she started a Facebook group for the growing nonpartisan coalition. “We are formed to resist the agenda of the new administration, which we view as racist, sexist, authoritarian, and corrupt…We are united in engaging with our state and local elected officials to insist on real-world representation of our needs as residents of Pocahontas County,” reads Baldwin’s description of the group, which has more than 200 members at last count. At their first meeting on February 4, they packed local coffee shop The Dirt Bean to capacity and chose leaders to organize ongoing meetings and actions in four different regional subsections of the large county. 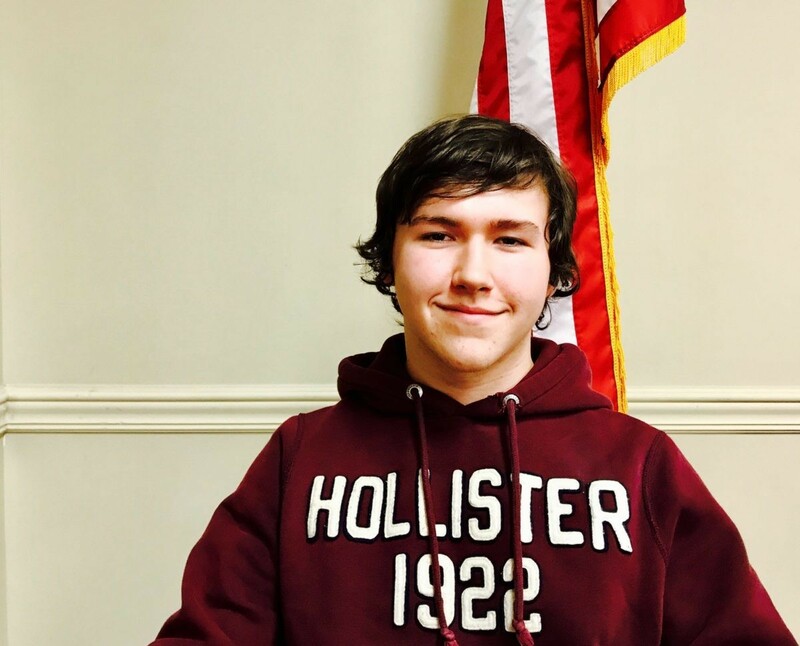 On February 9, they sent a delegation to Senator Shelley Capito’s office hours in Elkins, West Virginia. This Friday they head to Charleston to protest and visit the offices of the West Virginia state delegation. Baldwin says some in the group may even be making plans to run for office. Emma Copley Eisenberg (@EmmaEisenberg) is a writer living in Philadelphia. Her work has appeared in Salon, Slate, The New Republic, The Rumpus, The Los Angeles Review of Books, and others. Editor’s Note: An earlier version of this story stated that no official recycling location exists in Pocahontas County. The Pocahontas County Solid Waste Authority accepts some materials to be recycled. This story has been updated to correct that error.